When it comes to the Emmys, what we want to see nominated is often very different from what the TV Academy actually nominates. Critically acclaimed dramas get snubbed (The Americans, Legion), great comedies get ignored in their debut year (Insecure, Better Things), and we worry some of our favorite newcomers may get sidelined – we’re rooting for you Killing Eve, Mindhunter, and The Deuce. Before this year’s Emmy nominees are announced later this week, ScreenCrush editors E. Oliver Whitney and Britt Hayes are casting their dream ballots. This may not be how the nominations will turn out, but it’s how they should look. Without further ado, see our picks below and check back on Thursday for the full list of nominees. Britt Hayes: If you had me rank these picks right now, it’d be migraine-inducing, though I can tell you that Game of Thrones would probably rank lower than the rest — which isn’t a knock against our pals in Westeros, necessarily. Just look at the rest of these shows! The Handmaid’s Tale remained eerily relevant (and soul-crushing) in its second season, while Legion somehow grew more surreal (and delightful) in its own sophomore run. I suppose I could push The Deuce further down; The Americans went out on an exceedingly poignant note and has already become an all-time TV great, while Killing Eve is certainly the best new show of 2018 (so far) — seriously, if you’re mourning the loss of Hannibal and you aren’t watching this, you’re insane. But I’m going to go wild here and pick Mindhunter. David Fincher’s moody reflection on the advent of serial killer profiling is gorgeous, contemplative, and utterly captivating. It’s also the only season of anything I’ve rewatched since it initially premiered. But The Handmaid’s Tale is definitely neck-and-neck with the Finch. E. Oliver Whitney: Sure sure, Westworld, The Crown, and Stranger Things are all more likely to get nominated than many of these, but that’s why this is a list of what should be nominated. 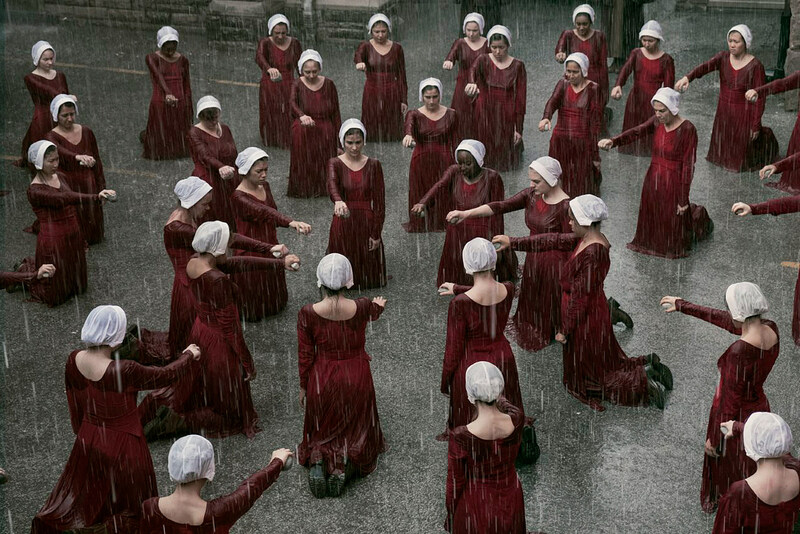 The Handmaid’s Tale continues to be traumatizing, harrowing, and brilliant. It might be the most difficult show to watch, especially in these dark political times, but not all great TV goes down easily. My other personal favorites, and my vote for the best new series of 2018, is Killing Eve. Phoebe Waller-Bridge turns the stuffy machismo of the espionage genre on its head with a devilishly funny, addictive, and refreshingly queer story about assassins. There’s the expertly crafted Mindhunter, the daring brain-melting surrealism of Legion, and how could we forget Game of Thrones? It’s far from the best season of the HBO series, but successfully kept us on the edge of our seats as it waded into book-free territory for the first time. Britt Hayes: Conventional wisdom (and inscrutable awards voting practices) tells me that my least favorite in this group — Evan Rachel Wood — will probably win. But if I had my way, the trophy would go to Elisabeth Moss, Sandra Oh, and Jodie Comer in an unprecedented three-way tie. It’s impossible to choose between these women, each of whom delivered a performance equal parts fierce, complicated, and engrossing on a visceral level. And each of them stunned me in different ways: The searing internal turmoil of Moss on Handmaid’s, the bizarrely adorable sociopathy of Comer and Sandra Oh’s relatable morbid curiosity that gives way to something emotionally resonant on Killing Eve. But they’ll probably just give this thing to Claire Foy and call it a day, huh? E. Oliver Whitney: Elisabeth Moss may have (finally) won her first Emmy last year, but in The Handmaid Tale’s second season, she’s continues to do exceptional, heartbreaking work. Both Claire Foy and Keri Russell deserve recognition for the final seasons of The Crown and The Americans, respectively. And despite Westworld‘s frustratingly disappointing sophomore year, Evan Rachel Wood got to add layers to her Dolores. 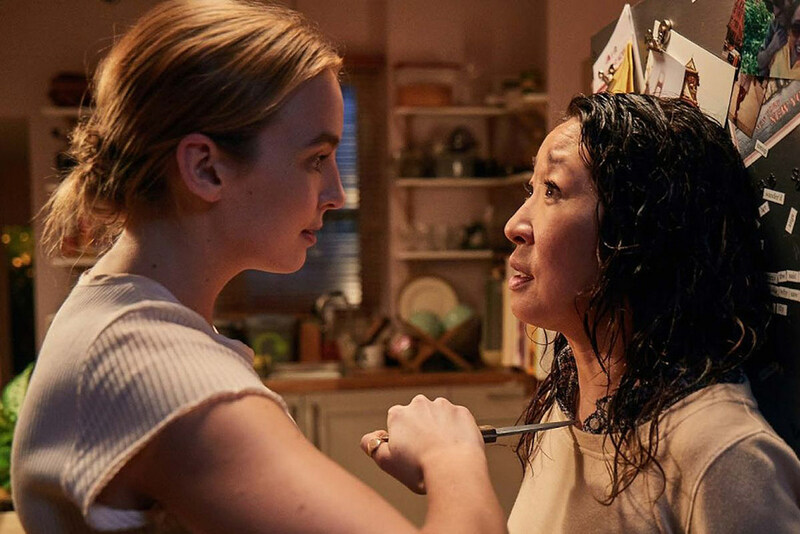 But if I had to pick a pair of standout performances, it’s Sandra Oh and Jodie Comer in Killing Eve. Oh’s MI5 agent and Comer’s psychopathic killer grow more complex and engrossing in every episode, to the point where you weirdly find yourself wanting to be BFFs with two women fascinated by murder. Britt Hayes: Another toughie, and one I wasn’t expecting since male acting categories tend to be kind of a snooze. But each of these men turned it out in their respective series, especially Wright, Groff, Malek, and Rhys. Given the relative newness of their shows, I’m going to go with either Wright or Groff for this one. The latter managed to find new dimensions to the tired exploration of the nebulous line between serial killers and the law men who obsessively pursue them. Wright, on the other hand, may have impressed me the most; Westworld has grown increasingly absurd (for better or worse) save for the occasional stunner (more on that in a moment), but Wright has remained constant with his intricate portrayal of Bernard — the more confusing the series becomes, the better Wright is at handling (or juggling) all these layers. E. Oliver Whitney: Without Bob Odenkirk and the rest of the Better Call Saul gang in the mix this year, it leaves some slots open. That gives the TV Academy a chance to right at least one wrong: Last year they snubbed Dan Stevens and Legion, so I’d love to see him get some nomination love for his ultra-powered mutant. Westworld‘s second season gave Ed Harris a chance to bring some more emotional, tragic notes to his moody gunslinger, while Jeffrey Wright stood out as the male MVP. I may not have understood what the heck was going on with Bernard’s time-slippage most of the time, but Wright at least made me care. 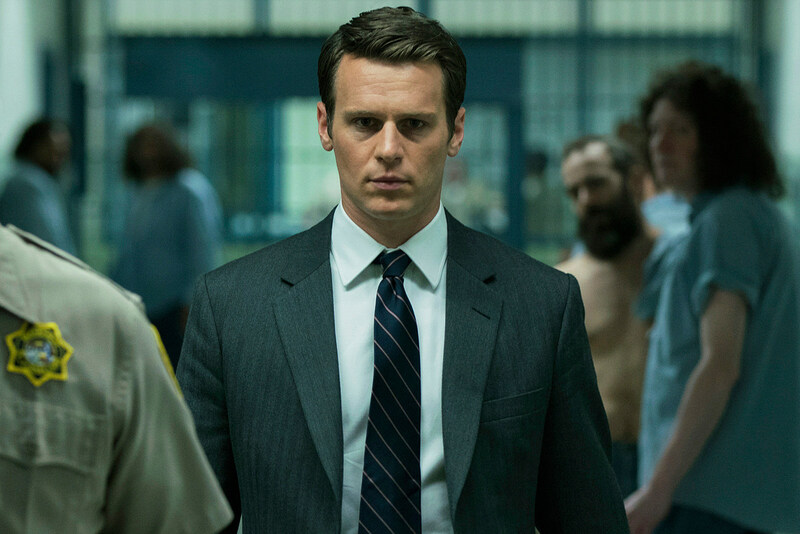 When it comes to Groff, he took what could’ve been a one-note good guy detective obsessed with serial killers and turned him into something rich and compelling. 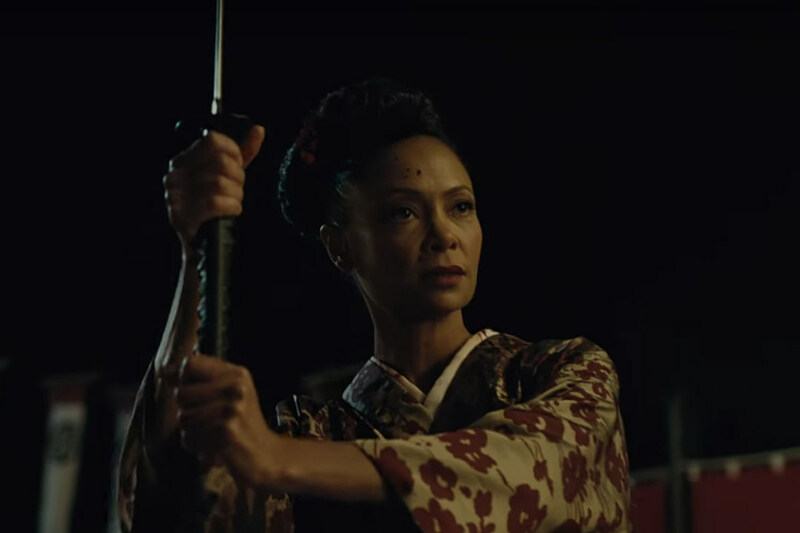 Britt Hayes: Thandie Newton’s Maeve is Westworld’s MVP — and also my pick for this category, hands down. I can see the Emmy voters easily giving this to Yvonne Strahovski for her performance on Handmaid’s, which wouldn’t be a bad choice: Strahovski has one of the most painful and difficult (and hated) parts to play as a woman whose moral compass is more like a friggin’ labyrinth. But Newton has proven herself invaluable to Westworld, and even those who might not enjoy where the series has gone can’t argue the power of Maeve’s story. Newton has featured prominently in the two best episodes of Season 2 — “Akane no Mai” and “Kiksuya” — breathing fierce, poignant life into both with her bold performance. E. Oliver Whitney: Five words: Give Thandie Newton an Emmy. (Clearly Britt and I are on the same page.) Had it not been for Maeve’s arc to find and save her daughter, I probably would’ve been a lot more grumpy about devoting an hour of my life every week to this season. She’s not only the series’ most relatable and human-like Host, her badass Maeve also she proves Newton could totally lead her own action franchise (someone make this happen). But there are others to celebrate, like both Ann Dowd and Yvonne Strahovski, who expand on their villainous women’s complexities in Season 2, and Anna Torv, who steals some of the best moments of Mindhunter as Wendy Carr. And though GoT‘s latest season was more devoted to explosive set pieces and layered plotting than noteworthy performances, Arya’s tense exchanges with Sansa and emotional reunion with Nymeria stand out the most for me. Britt Hayes: As much as I love Bobby Cannavale’s guest spot on Mr. Robot (in which he looks like a hot accountant dad who evaded the IRS in the ’80s), Zahn McClarnon really deserves this Emmy — for many of the same reasons as Thandie Newton does. McClarnon really snuck up on Westworld in Season 2. After mostly lurking in the periphery as just another vaguely threatening Native American Host, McClarnon emerged with metaphorical vengeance in “Kiksuya,” delivering a performance with enough emotional heft to fill an entire season of this show (or at least make up for what the rest of it was lacking). E. Oliver Whitney: Zahn McClarnon’s performance in Westworld‘s “Kiksuya” is so exceptional, it pretty much made me forgive the rest of the season’s convoluted nonsense. The Lakota and Standing Rock Sioux actor gives a gutting performance as Ghost Nation Host Akecheta, and in the series’ best and most unforgettable episode to date; while a win may be a long shot, he certainly deserves it. On the Game of Thrones front, it’s always Peter Dinklage who lands a nomination, but Season 7 didn’t give him much of anything to do (honestly, he hasn’t had a standout scene since Season 5). 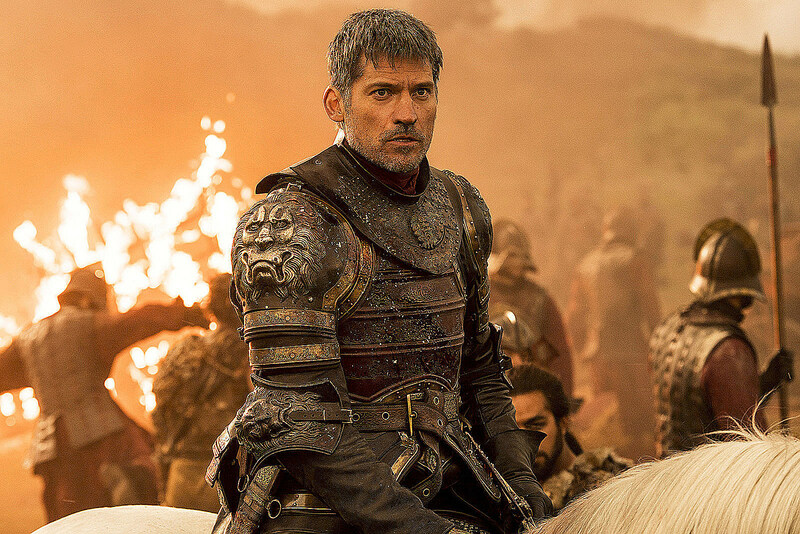 Instead, Coster-Waldau’s Jaime had a share of emotionally revelatory moments as Jaime, finally turning his back on Cersei once he learned of her double-crossing. His reaction to Olenna’s confession to Joffrey’s murder alone shows Coster-Waldau’s dramatic ability. Plus, the dude charged at a fire-breathing dragon. Britt Hayes: Literally any one of these. All of them. Screw it, let’s just turn the Emmys into a free-for-all. GLOW, The Marvelous Mrs. Maisel, and The Good Place were total delights, and Barry really blew me away with its blend of comedy and all-too-real psychological drama. But the real fight here, for me, is between Atlanta, Dear White People, and Better Things – the three most creatively and narratively compelling of the bunch. Each of these series has such a specific perspective and artistry, and if I were choosing the one that personally resonates the most, I’d vote for Better Things. However, if hard-pressed, it becomes a toss-up between Atlanta and Dear White People. Both of these shows have fully immersed me in cultures beyond my limited worldview, and both of them have inspired some serious introspection and reconciliation with my own white privilege — which would never happen while watching a show about a white woman. (Sorry, Pamela Adlon, I love you but you’re not challenging me to look at things any differently.) At the end of the day, my vote goes to Atlanta. Its second season in particular was absolutely earth-shattering in the way that it used the language of horror to explore black experiences in white spaces — a tonal aesthetic deftly emphasized by great directors like Hiro Murai and Amy Seimetz. E. Oliver Whitney: This has to be the most difficult category of them all, and we even had to cut a couple of our favorites from this list. Dear White People delivered a second set of whip-smart episodes that were as laugh-out-loud hilarious as they were searing and significant in their dissections of race. GLOW‘s debut season (Season 2 isn’t eligible this year) was so gloriously fun you couldn’t not binge the whole darn thing in a weekend. 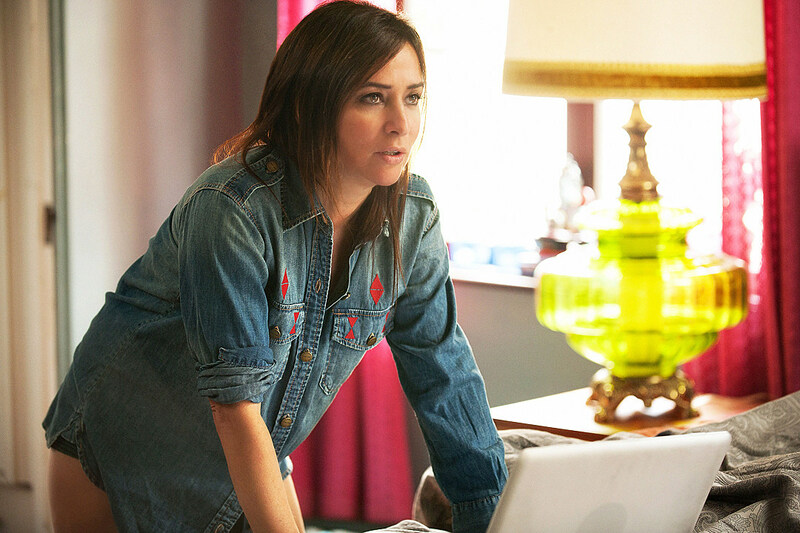 Pamela Adlon’s Better Things continues to be the most underrated comedy on TV (and it gave us that incredible dance finale). But out of all of these, Atlanta is easily the most deserving to take home the top prize. From the immensely layered “Teddy Perkins” to the staggering “FUBU” and Amy Seimetz’s “Helen” – literally every episode of Donald Glover’s series was bursting with brilliance, relevance, and originality. Britt Hayes: I’m giving this one to Pamela Adlon. Every woman on this wish list has delivered the goods and then some, and I’d be happy to see any one of them take home the prize – but Adlon deserves it just a teensy bit more. Better Things is so damn insightful, hilarious, and heartfelt. You can feel Adlon’s passion and creativity in every second of this series, and there is literally no one else who could play this fictionalized version of herself. I am still laughing over last season’s extended “NO! NO! NO!” kissing shutdown scene, which is the biggest of big moods ever filmed. E. Oliver Whitney: This is going to be an especially major year for leading women of comedy. With Queen of the Category Julia Louis-Dreyfuss out of the running after winning six years straight for VEEP, it finally gives another actress a shot. That could mean Tracee Ellis Ross finally wins for Black-ish, but I’d wager it’ll be Rachel Brosnahan, hot off her Golden Globe win for her charming and fiery housewife-turned-comedian. Personally I’d be thrilled if this went to Issa Rae, Pamela Adlon, or Logan Browning (which isn’t likely but just let me dream). In the fantastic second season of Insecure, Rae’s newly single Issa continued to be as poignant as she is blisteringly funny (I mean, she gets in a car wreck by looking at a d– pic). Adlon’s fictionalized actor/single mother balances hilarious moments (like the amazing scene Britt mentioned above) with heartfelt ones, like learning of a secret aunt with a mental illness or breaking down in the excellent “Eulogy” after her daughters fail to appreciate her. And then there’s the crazy talented Browning, who brings ferocious energy and potent vulnerability to her radio show host, most notably in the explosive bottle episode opposite John Patrick Amedori and in “Chapter IX” when Sam returns home for a funeral. Britt Hayes: With respect and love to Hader and Galifianakis, this one belongs to Donald Glover, all day. 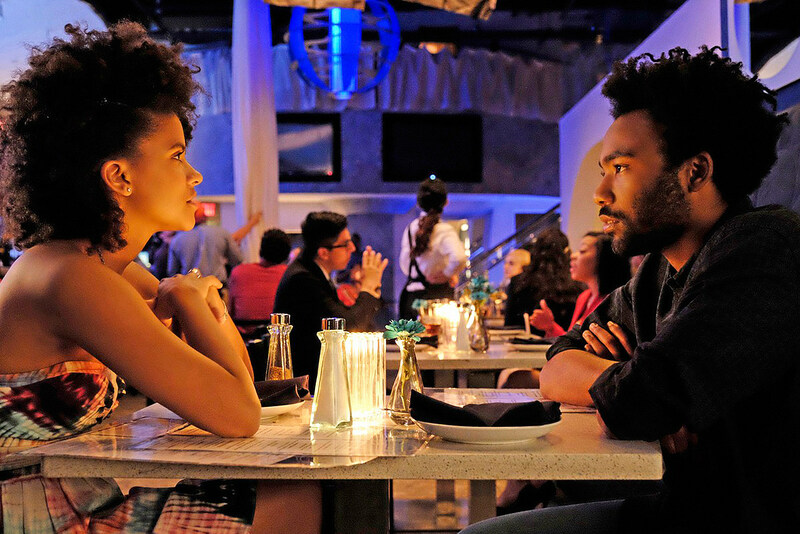 Pretty much everything I said about Atlanta applies to Glover here, and while I know that this brilliant series is a creative group effort, it wouldn’t exist or be what it is without the erstwhile Childish Gambino. E. Oliver Whitney: There’s a lot of talented folks in this bunch, and I would be ecstatic if Donald Glover got to take home his second acting Emmy; he deserves it for “Teddy Perkins” alone. 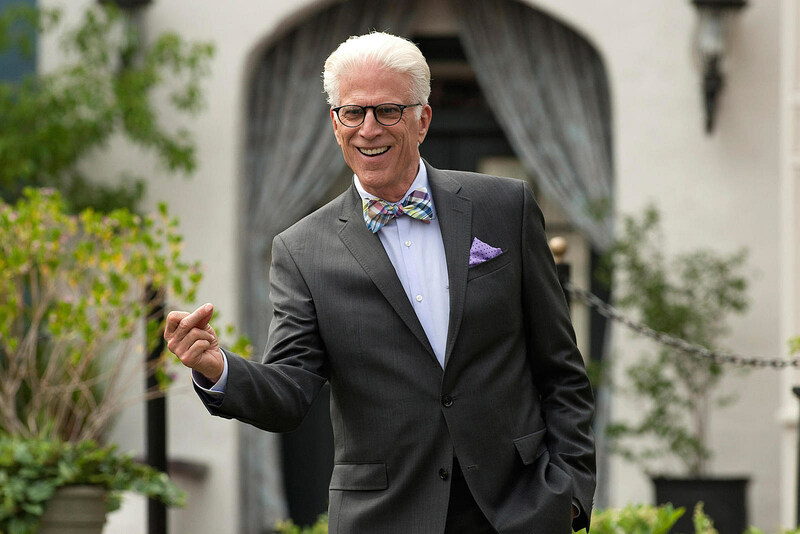 But I’m going to use this opportunity to spotlight Ted Danson, who may be the funniest man on TV right now. As his demon Michael reboots the neighborhood and erases the foursome’s memories again and again in The Good Place‘s second year, he also tries his best to become a good demon. You feel for this afterlife torturer as he struggles to keep his disastrous plan a secret from his boss, while attempting to learn moral philosophy along the way. And his midlife crisis breakdown? Endlessly rewatchable. Britt Hayes: For me, this category comes down to three actresses who regularly surprise, delight, and fascinate me with their complicated performances: Betty Gilpin on GLOW, D’arcy Carden on The Good Place, and Zazie Beetz on Atlanta. Gilpin is mining exceedingly personal emotional and mental territory as Debbie, who isn’t as much of a hero as she’d have herself and everyone else believe. And then there’s Beetz, whose Van is both relatable and enlightening, occasionally stealing an entire episode right out from underneath Glover, Stanfield, and Brian Tyree-Henry. This is where it starts feeling unfair to compare all of these supremely talented women, but if I had to pick a favorite from the past year or so, it’d be Carden. 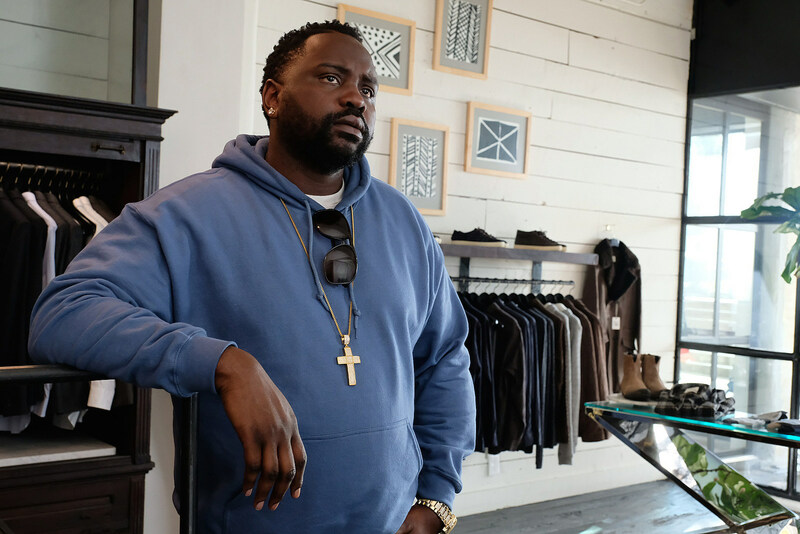 Britt Hayes: Brian Tyree Henry just keeps getting better and better with each episode of Atlanta; he says more in one brooding look or set of slumped shoulders than he ever could with his words. Lakeith Stanfield is a national treasure. Marc Maron has completely surprised me on GLOW; he’s probably the least-seasoned actor on GLOW, and yet he’s so good. Tituss Burgess is an obvious pick; Kimmy Schmidt should just be called The Tituss Show because he so effortlessly owns it. And I truly love Louie Anderson’s performance as Mrs. Baskets on Baskets; he’s so phenomenal in finding the sorrow and vulnerability in this woman that I often forget it’s Anderson in a dress. Perhaps that last bit is my answer. Anderson is truly the realest of the bunch. He gets my vote. E. Oliver Whitney: In my mind, this category belongs to Brian Tyree Henry. In Atlanta‘s second year, Paper Boi grew into someone much more complex as a rapper navigating his anxieties around fame. In “Barbershop” he’s hilariously dragged across down for a haircut by his hustling barber, and in the excellent “Woods” he gets to dig a little deeper into something more raw, all by saying so little. But there’s plenty of talent in this category, from Mark Maron’s grouchy failed director to Lakeith Stanfield’s funny-as-hell weirdo Darius, the always divine Tituss Burgess, and Manny Jacinto’s lovable idiot Jason.